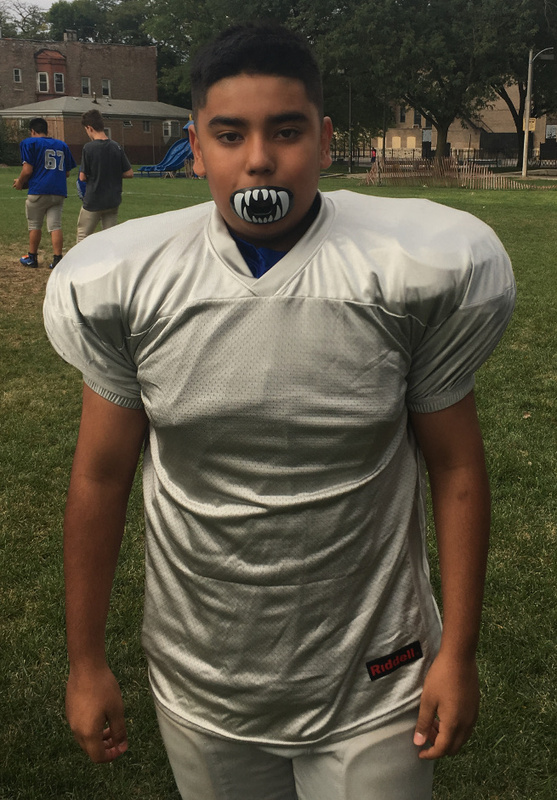 Abraham is wearing one of our new silver jerseys for at Home games! We are having them silk screened with them team name and numbers, and will be ready for our 1st home game against the Jaguars on September 15th. We hope you can attend all games and cheer us on to a winning season!